Multiple CFC alumni worked on the short film, 'Loretta's Flowers,' screening at the Vancouver International Film Festival this month. CFC alumni and residents are continually making waves in the Canadian and international screen-based entertainment industries – from awards to festivals, industry recognition, “it lists” and more. Here’s the latest round of updates and success stories for CFC residents and alumni from late summer through early autumn. Multiple CFC alumni have been nominated for DGC Awards in both film and television categories. Read the full list of CFC alumni nominated, and stay tuned to see who wins on October 20. Two CFC Slaight Family Music Lab alumni were winners in this recent announcement: Spencer Creaghan won first place for Best Original Score (The Ballad) and second place for Best Original Score-Non Fiction (Sonoris); and Lora Bidner won second place for Best Original Theme (Beauty within the Nothing). CBC Digital’s How to Buy a Baby was nominated for an International Emmy, in Best Short-form Series. The web series features the talents of multiple CFC alumni, including Slaight Family Music Lab alumna Aimee Bessada, and Cineplex Entertainment Film Program alumni Lauren Corber (also a CFC mentor), Matt Code, Molly McGlynn and Jeremy Schaulin-Rioux. The Sixth Annual Birks Diamond Tribute applauds the best female film talent in Canada on both sides of the camera. This year, CFC Tribeca All-Access alumna Stella Meghie was one of the honoured six women in the emerging talent category, which recognizes the Canadian filmmakers making a splash early in their careers – certainly true given Meghie’s recent festival hit, The Weekend, as well as her debut at the 2016 festival with Jean of the Joneses. Read more about Meghie and the Tribute, held on September 10, here. CBC Actors Conservatory alumna Emily Coutts and Cineplex Entertainment Film Program Directors’ Lab alumna Sherren Lee made The Hollywood Reporter’s “Rising Stars” list this year; read more about both women here. Cineplex Entertainment Film Program Directors’ Lab resident Karen Chapman was named one of Playback’s 2018 5 to Watch. Read more about her work here. 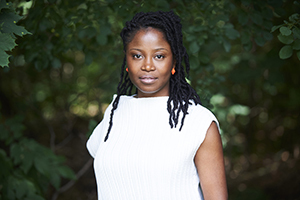 The award-winning documentary filmmaker had also been named to Telefilm’s revamped 2018 Talent to Watch program and is currently developing The Village Keeper, her first narrative project, which was nominated for the Talent to Watch program by Caribbeantales. Read the Playback profile of Chapman. First, 2018 Producers’ Lab resident Evren Boisjoli worked on the short film, Fauve, which won an honourable mention in the IWC Short Cuts Award for Best Short Film “for its confident visual storytelling and moving performances from the child actors." The film also won Best Overall Short at the Calgary International Film Festival. Second, this year’s Pitch This! winners were CFC Cineplex Entertainment Film Program alumni Gharrett Paon (Producers’ Lab) and Bretten Hannam (Writers’ Lab) for Wildwood. This two-spirit coming-of-age drama, initially developed in the Producers’ Lab, tells the story of a rebellious Mi’kmaw teenager who runs away from home to find his birth mother – and reclaim his heritage. Congrats to all of the finalists, and we’re proud that four of the six finalist teams were helmed by CFC alumni this year! 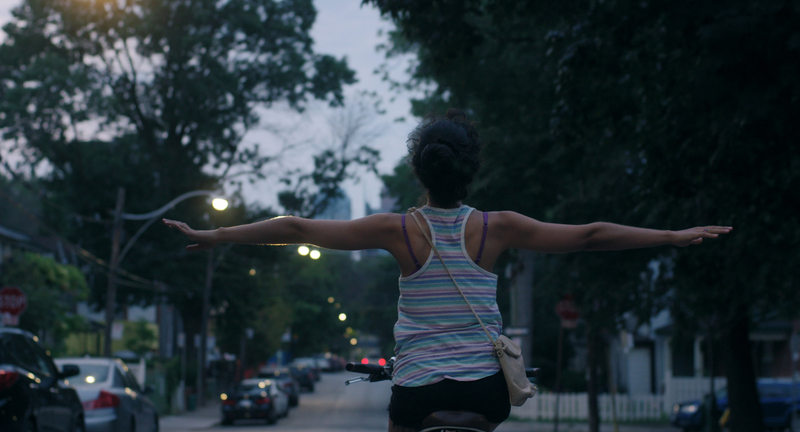 Read about all the CFC alumni and resident talent at TIFF this year, and check out some of our favourite alumni films at this year’s festival. Cineplex Entertainment Film Program Writers' Lab’ alumna Shelley Thompson scored not one, but two awards at September's FIN: The Atlantic International Film Festival Awards. In the short-film category, her film Duck Duck Goose took home the prize for Best Short, and she also won best performance for her work acting in Splinters. Read more here. TIFF cult hit and Midnight Madness selection, 'Assassination Nation,' is making the festival rounds and was produced by CFC Features alumna Andria Spring. Loretta’s Flowers screens at VIFF on Wednesday, October 3 and next week on Wednesday, October 10 as part of the “Various Positions” program. The short film was directed by Cineplex Entertainment Film Program Directors’ Lab alumnus Brendan Prost, with CBC Actors Conservatory alumni Harveen Sandhu and Matthew Gouveia, Cineplex Entertainment Film Program Editors’ Lab’s James Tracey, and music by Slaight Family Music Lab alumnus Neil Haverty. CFC Media Lab’s co-production of the VR experience, Made This Way: Redefining Masculinity, will screen daily at the Festival du nouveau cinéma from Friday, October 5 through Sunday, October 14. The New Romantic screened at Calgary, FIN and Sudbury in September, and will be at VIFF on Thursday, October 4 and Saturday, October 6 this week. Telefilm Feature Comedy Exchange alumna Carly Stone co-wrote and directed, with Kyle Mann co-writing and producing; Cineplex Entertainment Film Program Editors’ Lab alumna Christine Armstrong edited; and also features music by the Slaight Family Music Lab alumnus Matthew O'Halloran. Producer-alumna Miranda de Pencier has a reason to smile, too - 'Anne with an E' was renewed for a third season. Image courtesy of Netflix. Cineplex Entertainment Film Program Writers' Lab alumnae Kirsten Carthew and Kathleen Hepburn (also a CFC mentor) were two of the eight directors selected to take part in the Canadian Academy of Cinema and Television’s second annual Apprenticeship for Women Directors. The program, launched in 2017, provides intensive professional development to a small group of emerging female content creators by pairing them with an established director. The program began this September and will runs to March 2019. CFC alumnus, mentor and writer/director Charles Officer debuted his latest feature documentary, Invisible Essence: The Little Prince, at a private event on September 13. Produced by Toronto’s 90th Parallel Productions, Montreal’s Groupe Fair-Play and Officer’s Canesugar Filmworks, the film explores the legacy of French writer Antoine de Saint-Exupéry’s famous novella 75 years after it was released. CBC holds the broadcast rights, but have not yet announced a date. The film also screened at the Calgary International Film Festival on September 24. 22 CHASER, the high-octane drama and 22nd feature film developed and financed for production by CFC Features, not only starts a 10-city US theatrical release on October 12. It also appears on Canadian screens for a monthlong run on TMN beginning on Friday, October 19. The film features the talents of numerous CFC Features alumni, as it was directed by Rafal Sokolowski, written by Jeremy Boxen and produced by alumni Aeschylus Poulos and Daniel Bekerman, alongside CFC board member Don Carmody. American friends, find a city close to you. Mark your calendars! In addition to its slate of fall film festival screenings, The New Romantic opens in Canadian theatres on October 19 (the U.S. theatrical release will take place in 2019; stay tuned). Read more about the film, which premiered at SXSW 2018. 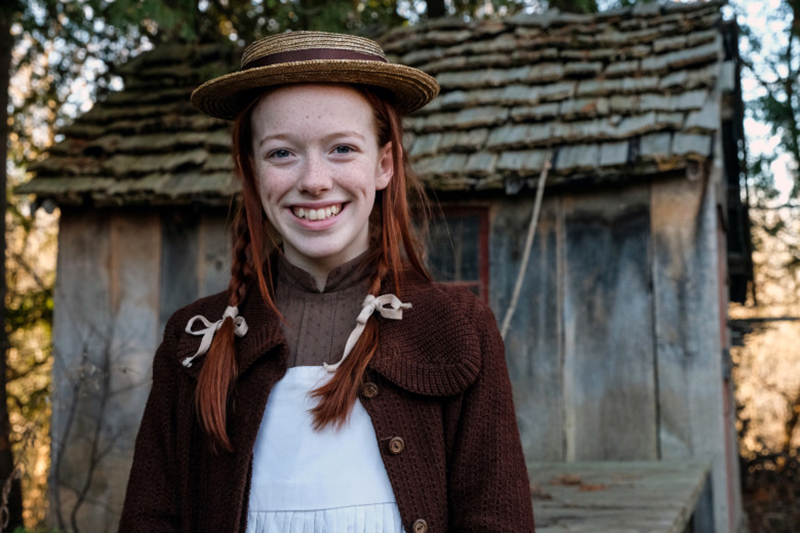 Cineplex Entertainment Film Program Producers’ Lab alumna Miranda de Pencier, fresh off the successful world premiere at The Grizzlies at TIFF 2018 (and DGC nomination for this work), has more good news to celebrate: her Netflix series, Anne with an E, which she also produces, was renewed for a third season. Read more here. Production is underway for Cineplex Entertainment Film Program Directors’ Lab alumnus, Vincenzo Natali, who is directing In the Tall Grass. Produced for Netflix by Toronto’s Copperheart Entertainment and L.A.-based Mosaic, the project is an adaptation of Stephen King and his son Joe Hill’s 2012 Esquire novella of the same name. Worldwide distribution is planned for 2019. Read more about the production. 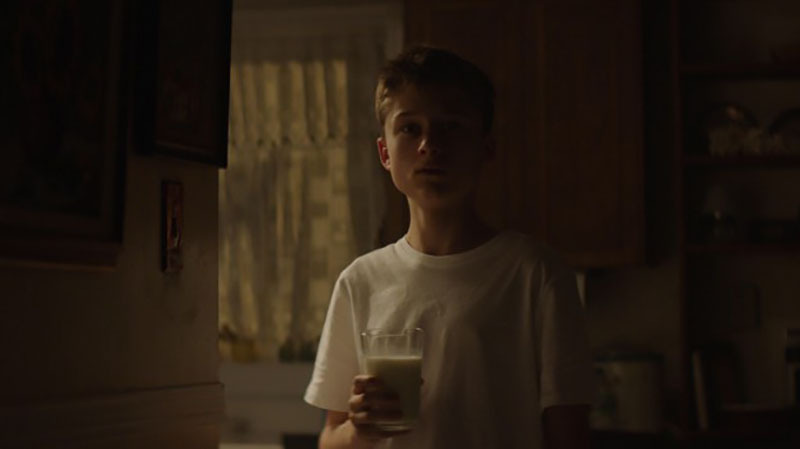 Canadian short film Milk (produced by CFC Cineplex Entertainment Film Program Producers’ Lab alumnus Max Walker) is being turned into a feature. James Wan (Saw, Insidious, The Conjuring) will produce. Hear more about the production (subscription). Thirsty? 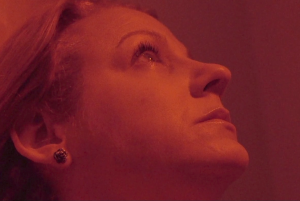 Canadian short film 'Milk' is being turned into a scary-good feature. Have some alumni news to add or share? Want to update your bio or photo in our directory with all your exciting news? Get in touch anytime at alumni@cfccreates.com.